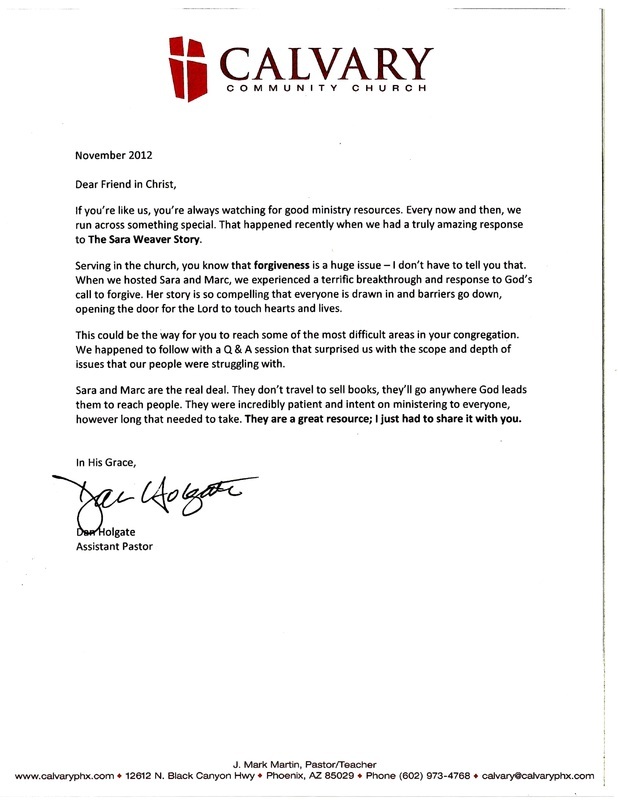 Reference Letter from Assistant Pastor Dan Holgate of Calvary Community Church, Phoenix, right off of Interstate 17. 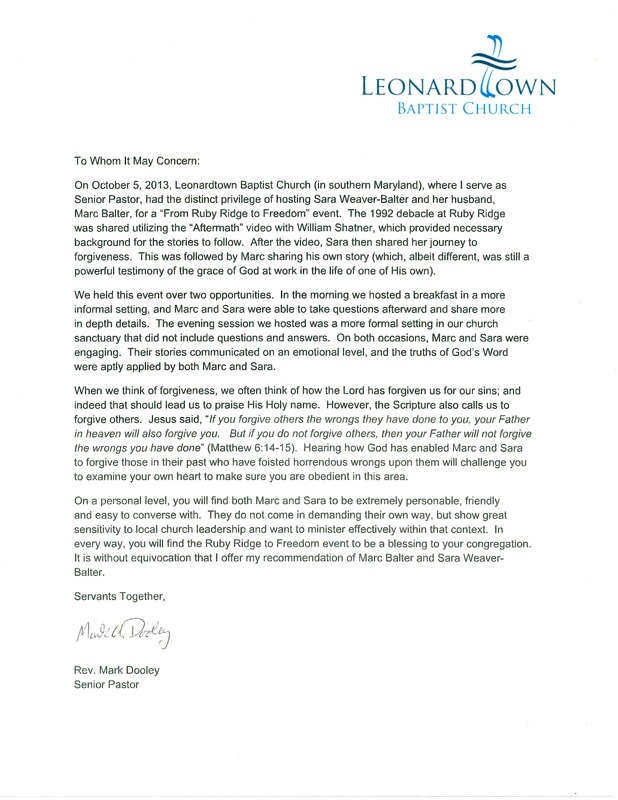 Church body of approximately 15,000 members. 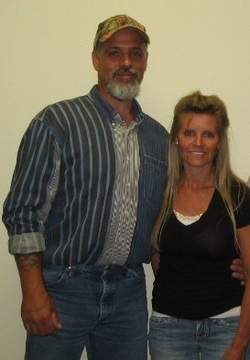 I would like to thank Sara and her hard working husband, for their message of forgiveness on August 2nd, 2011. What a blessing to our church and surrounding community! I highly recommend Sara's presentation to anyone that wants to apply our Savior’s teaching on forgiveness, (that should be all of us!) to listen to Sara and her inspiring, heart warming, and sometimes, tear provoking story. As evidenced by the crowd afterward, God was and is truly working all things together for good to those who love Him and are called according to His purpose. We love those Guys!